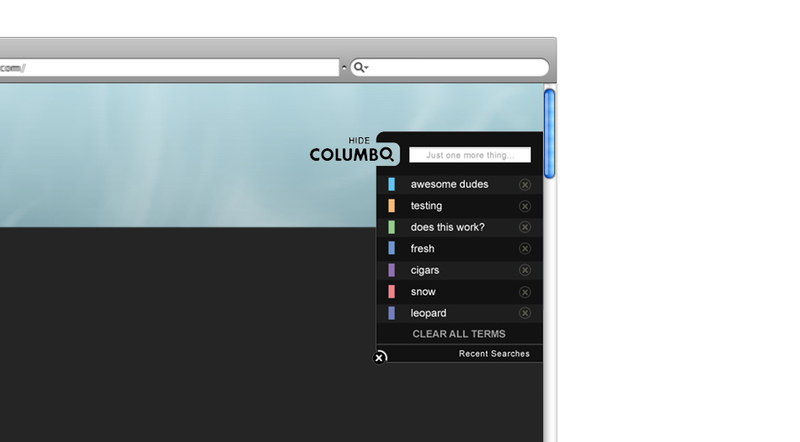 Developed for analysts at Collective Intellect (now Oracle) who needed to search for sets of words on lots of webpages. They were using the standard find tool built into the browser to search for one word at time. That was time consuming and ineffective. 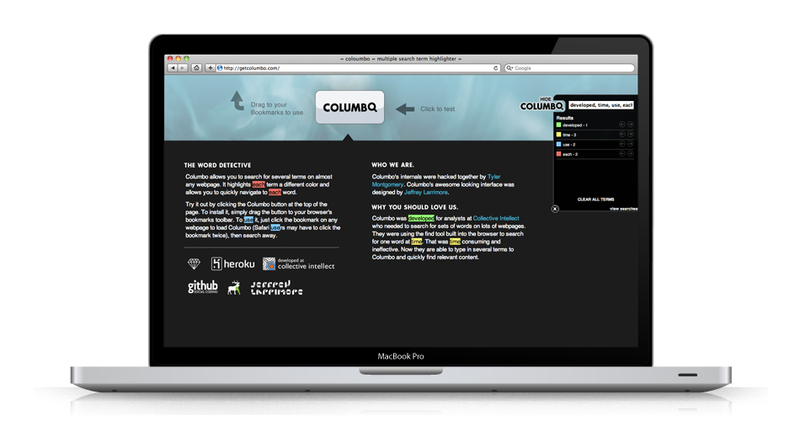 Now they are able to type in several terms to Columbo and quickly find relevant content. 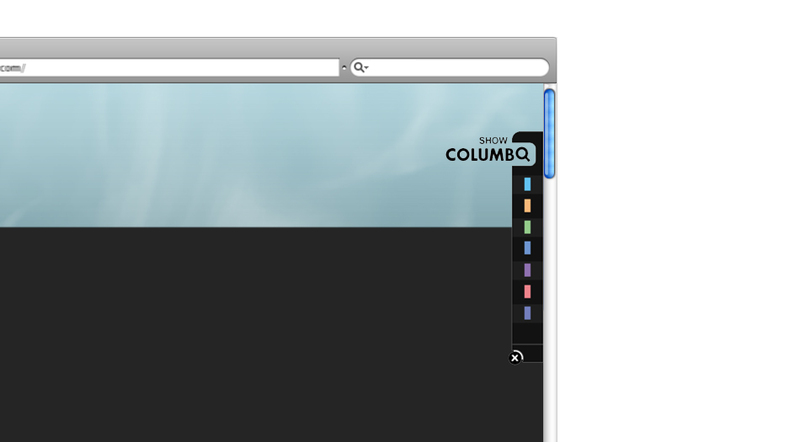 I was given the task of designing the “bookmarklet” interface and download site. This project has since been given to the community to benefit everyone looking for a multi-search tool in the browser!